Benjamin was a son of Dr. John Deake born in Hopkinton, R.I. on Nov. 27, 1753 at Hopkinton, Kings Co., RI. After his father's death in 1761 he moved with his mother to the Town of Richmond where received his schooling and grew to manhood. By the time he reached the age of majority he was living in the area of Littlerest, in the adjacent town of South Kingston. He was living there at the time he enlisted for service in the Revolutionary War, and returned there after his service. Benjamin Sr. enlisted in the Revolutionary War in the Spring of 1775 at Littlerest, South Kingston, Rhode Island and was assigned to duty as a Private under Captain Christopher Gardner and Colonel James Vernon (Varnum), 12th Company Rhode Island Troops, for a term of one (1) year. His lieutenant was Nathaniel Hawkins and his Ensign, William Potter. He also served as the waiter of Col. Archibald Crary after he enlisted for a second term. His name appears in War Department Records in a list of Sick and Wounded in the General Hospital Convalescent Home from Nov. 22 to December 2, 1775. Benjamin received a written discharge from Colonel Crary in Morristown, New Jersey, but lost this document later. Since Benjamin lost the discharge papers, his petition was never granted. His heirs attempted to get the pension approved after Benjamin died on March 1, 1837. According to papers in his claim for pension in 1832, he was one of the 2200 men who crossed the icy Delaware with General Washington on the night of December 26, 1776 and defeated the Hessians at Trenton, N.J.
"Windsor, Vt. June 9, 1781 payroll of Capt. Samuel S. Savage's Company of Militia in the Third Regiment, Commanded by Col. Eben Woods and marched in scouts and alarms by Col. Woods orders in the months of Aug., Sept. and Oct.
3 days @ 40 lbs./mo. = 4 lbs. 30 miles @ .4 lbs./mi.= 10 lbs. He married Elizabeth Reynolds, March 23, 1779 in South Kingston, R.I. Emmanuel Case married them. (She was born Nov. 30, 1761 at N. Kingston, Washington Co., RI and died April 25, 1832). His first child, George Washington Dake, was born at Littlerest on Sept. 25, 1780. Benjamin's brother John and twin Joseph had moved to Windsor prior to 1780. Benjamin moved to Windsor about 1781. He rode on horseback from Rhode Island to West Windsor, VT and purchased 50 acres of land. They built a log cabin in a field near Brook Rd. (in 1977 his 4th great grand daughter, Florence Van Dusen still lived on this land). After the War Benjamin was apparently esteemed as a farmer as he was elected Hog Reeve in 1782 and served on a Petty Jury in the same year. There is every indication that he was a farmer all his life, but the Windsor land records show that he was also an active land trader in what is now the Town of West Windsor. He was listed in some of the deeds as a farmer and silversmith. Both his name and the name of his brother Joseph appear on the Tax list of Windsor in the year 1785. On September 3, 1832 Benjamin Dake deeded all his property in West Windsor to his sons George W. and Elisha, providing they provide him with board and room for the rest of his life. Sons Thomas R. of Castleton and Benjamin F. of Hadley, New York contested the deed-will. The case was settled out of court by a cash settlement. George W. died in 1836 so Elisha inherited the old Dake homestead at his father's death, March 1, 1837 in the Town of West Windsor, Vermont. Elizabeth died April 25, 1832 at West Windsor, Vt. They were buried in the Sheddsville cemetery. This cemetery was eventually abandoned and lost to the woods and undergrowth. In recent years all the old cemeteries of Vermont have been reclaimed and open to the public. Benjamin and Elizabeth Dake's headstones are still in good shape and quite legible. Benjamin Sr. died Mar.1, 1837 in West Windsor, VT. He is buried in the Sheddsville Cemetery, West Windsor, VT.
See the actual copy of Benjamin Dake's Revolutionary War Pension application. Benjamin was born on Nov. 17, 1782 in West Windsor, Vt. He enlisted in the Army at Windsor, Vt. and served in the War of 1812. He enlisted as a Private on June 15, 1813 for 1 year. He served under Capt. Wires and Capt. Sandford' Companies, 30th and 31st Infantries. On Dec. 31, 1814 he was reported sick in the hospital at Burlington, VT (See the attached account of his service record in his own hand writting) He was married about 1805 to Lavina (?) and prior to 1830 moved to Ft. Ann, Washington Co., N.Y. (Lavina was born in 1787). The last land transaction under his name in Ft. Ann was to sell land to George M. Ives of Kingsbury for $650., on Feb. 9, 1835. Between 1840 and 1850 he moved to Greenwood, Mc Henry Co., IL with his sons Gilbert B. Dake, James Madison Dake and Henry Dake. Benjamin received Bounty Land in Mc Henry Co. for his service in the War of 1812. His first wife Lavina died on Jan. 29, 1851 in Mc Henry Co. and he remarried Clarrisa Brewster Vaughn on Sept. 2, 1852. (Her second husband Stephen Vaughn had died the year before in Kingsbury, N.Y. Her first husband, a Revolutionary War Veteran, John Baker, died in 1842 at Ft. Ann, N.Y. Her maiden name was Clarissa Brewster.) Benjamin lived in Mc Henry County for the remainder of his life and died on Nov. 19, 1862 at Greenwood, McHenry Co., IL and is buried in Greenwood cemetery. Clarissa died on July 2, 1882 at Ridgefield, IL. Gilbert was born in 1816 at West Windsor, VT to parents Benjamin F. and Lavina Dake. He became a teacher and moved with his parents to Washington Co., NY. In 1837 he married Julia Ann Sheldon in Fort Ann, Washington Co., NY (She was born in 1817 Washington Co., NY) After their marriage, they settled in Fort Ann where he engaged in the mercantile business and also kept an old-fashion inn or "tavern". In 1840 he lived in Ft. Ann, Washington Co., N.Y. In 1844 he moved to Greenwood, McHenry Co., IL. He revoved with his family to McHenry County, traveling by packet on the Erie Canal to Buffalo, and thence by steamer to Southport, WI and by wagon to Greenwood Township. Here he bought land of Luther Finch, and became the owner of 300 acres and took up farming. He and his wife were members of the Baptist church in which he held the office of deacon and was one of the principal pillars. In early times his house was the hospitable home of the Baptist ministers. He was originally a Democrat and served at one time as Treasurer of McHenry County, but votged for Abraham Lincoln at his second election. In 1854 he moved to Woodstock. He also bought two farms two miles from Woodstock. He built and conducted the Dake & Quinian Mill, the ruins of which are still standing. At one time he owned the Frame & Slocum Warehouse and for a time in company with John J. Murphy in the commission business. He owned land near Woodstock and Huntley, IL. They finally removed to Minneapolis, MN where he engaged in the mercantile business, dying there about sixty-nine years of age. His wife also died in Minneapolis, MN. Aelisa was born in 1837 to parents Gilbert B. and Julia A. Dake. Maria Louise was born Feb. 22, 1840 to parents Gilbert B. and Julia A. (Sheldon) Dake at Fort Ann, Washington Co., NY At four years of age she moved with her parents to Greenwood, McHenry Co., IL. She received a common-school education at Greenwood and at fourteen years old removed with her parents to Woodstock where she was pupil in the select school kept by John Parish; later attended the first high school in Woodstock and, at seventeen years of age, entered the Northwestern Female College at Evanston, now a part of the Northwestern University. She graduated in 1960 and received a second degree from her Alma Mater in 1869 as "Laureate of Literature". On June 16, 1862 she married John S. Mediar and early photographer in Woodstock, IL. Many of his early photographys still exist. Mary was born in 1843 to parents Gilbert B. and Julia A. Dake. Abby was born in 1848 to parents Gilbert B. and Julia A. Dake. Gilbert was born to parents Gilber B. and Julia A. (Sheldon) Dake in Fort Ann, Washington Co., NY and died as an infant. Henry was born on Aug. 24, 1806 at West Windsor, Vt. to parents Benjamin F. and Lavina Dake. He moved with his parents about 1845 to McHenry Co., IL. He married Anna Spicer on Nov. 17, 1825 at Fort Ann, N.Y .For a period of time he moved his family and they homesteaded in Kansas. In the 1850 census he was listed as a Blacksmith living in Marengo, McHenry Co., IL. In 1877 he was listed as a retired farmer living on Taylor Street, Marengo, IL. He died in 1879. Charles was born on Aug. 27, 1831 to parents Henry Dake and Anna (Spicer) Dake at Fort Ann, Washington Co., N.Y. He moved to McHenry Co., IL. in May 22, 1846. He married on Feb. 4, 1858 at Marengo, McHenry Co., IL to Ellen Wilson. 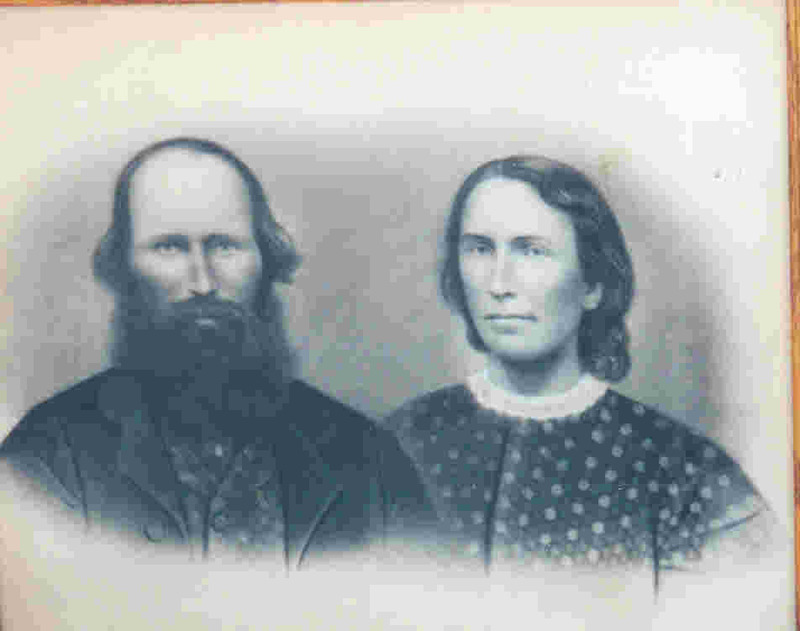 He moved with his family to homestead in Kansas where he met his future wife Elizabeth Anderson. It was said that he was with John Brown at Harpers Ferry in 1859 when Brown was hung. He married Elizabeth who was originally from northern Ohio in June 7, 1859 (she was born on Oct. 14, 1836 in Indiana. She died July 8, 1898 in Marengo, IL). In 1877 he was listed in McHenry County IL as a farmer and blacksmith. He owned 160 acres of land in Section 2, Marengo, IL in 1878. After retiring from farming he moved to West Chicago, IL with his son George and daughter Olive. He died in 1904 in West Chicago and is buried in Marengo, McHenry Co., IL. Elsie was born in 1873 to parents Charles Henry Dake and Elizabeth (Anderson) Dake. She ded in 1954. George was born in 1869 to parents Charles Henry Dake and Elizabeth (Anderson) Dake. He was listed as owning 160 acres (his fathers old farm), in Marengo, IL in 1917. He died in 1918. Olive was born in April 10, 1862 at Marengo, McHenry Co. IL to parents Charles Henry Dake and Elizabeth (Anderson) Dake. She married James J. Flemming. (James was born Aug 3, 1861 and died on June 29, 1912) The had five children: Harry, Charles Leroy, Clark, Mildred and Margie. She died Nov. 16, 1906. Eva was born on Dec. 2, 1865 in McHenry Co. IL to parents Charles Henry Dake and Elizabeth (Anderson) Dake. She married John Robert Fleming (He was born Feb. 27, 1870 at Boone Co., IL, cousin to J.J. Flemming, he was a farmer and he died Nov. 26, 1937 in Boone Co. IL) on March 7, 1894 at McHenry Co., IL and were of the Methodist faith.. John grew up on the William Flemming farm in Bonus Township on Marengo Road, and married at age 24 in 1894. He and Eva rented an 80 acre farm on the SE corner of Russellville and Woodstock Roads, and bre their first 2 children there. In 1899, they bought an 80 acre strip of land on Denny Road, just west of the James Flemming farm, from Charles Dake (Eva's father). In May of 1904 they bought from Susan Drake the 60 acre strip of land on the south side of Marengo Road, just east of Denny Road, adjoining the western borderlie of his fathers's land (the woods). They bore 3 more children there and raised their family and spent the remainder of their lives there. She was a teacher in the schools of McHenry Co. IL for several years. She died on Feb. 27, 1945 at Belvidere, IL. Oliver was born in April 10, 1862 at Marengo, McHenry Co., IL to parents Charles Henry Dake and Elizabeth (Anderson) Dake. He lived his entire life in the Marengo area and died at the age of 36 in 1898 and buried at Marengo, IL. Ida was born to parents Charles Henry Dake and Elizabeth (Anderson) Dake. 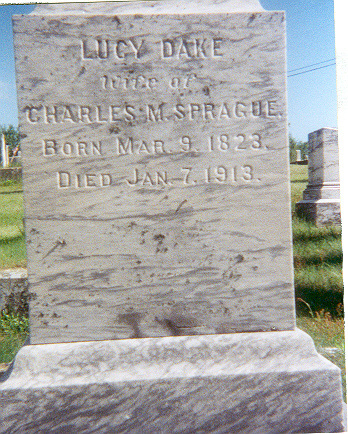 Ida was born in 1834 to parents Henry Dake and Anna (Spicer) Dake. She married Russell Olcott. Jane was born in 1835 to parents Henry Dake and Anna (Spicer) Dake. She married Mark Edwin Kent. They had children: Eliza, Nettie, Alby and Leita. Eliza was born in Feb. 22, 1838 at Warren, NY to parents Henry Dake and Anna (Spicer) Dake. She married William A. Swain (He was born in 1838). The lived in McHenry, IL and then moved to Osage, IA. She died in Osage, IA. They had a daughter Anna Alma Swain who married Edward Tenney ( Edward was tragically killed soon after a son was born and Anna died a few years later. The son was raised then by Eliza Phoebe (Dake) Swain and her husband William).. .
Oliver was born May 22,1842 at Warren, Herkimer, New York to parents Henry Dake and Anna (Spicer) Dake. He married May E. Fellows at Marengo, McHenry Co., IL. on Oct. 24, 1866. Oliver was a Private during the Civil War in the Illinois US Calvary, enlisting at Springfield, IL. He was a prisioner of war during the conflict. May must have died or they separated some time before 1870, as he was married to Sara Jane Goodman prior to 1870 (Sara was born about 1843 in Ohio). By 1880 he lived in Sycamore, Wyandot, Ohio until his death in 1886. (Sara was still living in Sycamore, Ohio in 1910). Carle was born on May 6, 1870 at Seneca, Monroe, Ohio to parents Oliver S. Dake and Sara Jane Goodman. He lived in Sycamore, Wyandot, Ohio from 1880 to 1930. Date and location of death unknown. William was born on December 20, 1871 at Seneca Monroe, Ohio to parents Oliver S. Dake and Sara Jane Goodman. Date and location of death unknown. Angeline was born on June 11, 1874 at Sycamore, Wyandot, Ohio to parents Oliver S. Dake and Sara Jane Goodman. She lived in Sycamore, Ohio in 1880 and 1900. Date and location of death unknown. David was born in1879 in Ohio to parents Oliver S. Dake and Sara Jane Goodman. He married Mary Dorothy Snarr about 1878. (Mary was born in 1892.) They lived in Sycamore, Wyandot, Ohio in 1930. Thomas was born June 22, 1922 to parents David Henry and Mary Dorothy Snarr. He married Ceclia Barnheart. (Ceclia was born May 6, 1919 in Cloverdale, Putnam, Ohio.) Thomas died June 15, 2001 at Lima, Allen, Ohio. Mary was born March 10, 1952 in Lima, Allen, Ohio to parents Thomas Oliver Dake and Cecila Barnheart. She died March 12, 1952 as an infant. Thomas was born to parents Gerald Lee Dake and Deveria M (?). Crystal was born to parents Gerald Lee Dake and Deveria M(?). She had a daughter Mamisa Mary Dake about 1991. Garrick was born to parents Gerald Lee Dake and Deveria M (?). John was born to parents Gerald Lee Dake and Deveria M(?). James was born to John Dake. Allen was born to parents Thomas Oliver Dake and Cecila Barnheart. John was born to Allen Dake. Todd was born to parents Thomas Oliver Dake and Cecila Barnheart. Danielle was born to Todd Owen Dake. Michelle was born to Todd Owen Dake. Sara was born in 1925 to parents David Henry Dake and Mary Dorothy Snarr. She died some time before 1994 in Sycamore, Wyandot, Ohio. Ray was born December 10, 1927 in Hamilton, Ohio to parents David Henry Dake and Mary Dorothy Snarr. Ray died on November 8, 1995 at Shelby, Richland, Ohio. David was born to parents David Henry Dake and Mary Dorothy Snarr. David died about 1984. Charles was born to parents David Henry Dake and Mary Dorothy Snarr. Charles died before 1994. Albert was born to parents Oliver S. Dake and Sara Jane Goodman. Delbert was born to parents Oliver S. Dake and Sara Jane Goodman. Gilbert was born in 1847 to parents Henry and Anna Spicer Dake in Illinois. He married on Feb. 2, 1870 to Mary Sanborn. Chester was born on June 22, 1828 to parents Henry and Anna (Spicer) Dake at Ft. Ann, N.Y.
ABEABH. Thankful Mary Dake Thankful was born on Jan. 07, 1840 in New York to parents Henry and Anna (Spicer) Dake. ABEABI. Carmi Dake Carmi was born on Nov. 07, 1848 in Illinois to parents Henry and Anna (Spicer) Dake. Mary was born on Dec. 25, 1810 to parents Benjamin F. and Lavina Dake. James was born on Dec. 12, 1812 at West Windsor, Vt. to parents Benjamin F. and Lavina Dake. He moved with his parents to McHenry Co., IL. about 1845. He was listed in the 1850 census at the age of 36 still living with his father in Greenwood, IL. He never married. He died on Feb. 15, 1857 at Woodstock, McHenry Co., IL. Franklin was born in 1822 to parents Benjamin Foster Dake and Lavina (maiden name unknown) Dake at West Fort Ann, Washington, New York. He died as an infant on June 18, 1823 and was buried at Brown Cemetery, West Fort Ann, Washington, New York. Polly was born on June 23, 1826 to parents Benjamin F. and Clarisa Brewster Dake at Ft. Ann, Washington Co., N.Y. She married Peleg Dailey on Apr.20, 1846 at West Fort Ann, Washington, New York. (Oliver Spicer officiating. Peleg was a veteran of the Civil War. He was born in 1824). She had children: Ida L., Henry, Elvin, Charlie, Fred, Delia, Arthur, Herman, and William. She died at Greenwood, McHenry Co., IL on Feb. 22, 1893. Thomas Dake was born on Dec. 22, 1785 West Windsor, Vt. to parents Benjamin Dake and Elizabeth Reynolds. He became an expert Carpenter and it is speculated that Thomas learned his trade from Asher Benjamin, a well known master-builder from Greenfield, MA, who lived in Windsor for three years around 1800. Asher Benjamin attempted to establish America's first school of architecture in Windsor on Feb. 20, 1802. Thomas moved to Castleton, VT from Windsor, VT and took the Freeman's Oath on Sept. 1, 1807. It is believed he followed two neighbors (Langdons) who had earlier moved to this area. Asher Benjamin later built homes and a church in Castleton, so he may have been working for him at this time. On September 24, 1809 he married Adeline Sally Deming at Castleton, VT with Elisha Smith, minister officiating. (She was the daughter of Jonathan Deming and was born in Windsor, Vt. in 1789). He built his first house for his new bride in 1809 and worked as a carpenter for his father-in-law. He became known for the special features that he put in many Castleton homes which can still be seen today. Adeline (Sally) died on July 15, 1833. He later married Sara Donaghue on Dec. 16, 1833 (Joseph Nary, minister officiating). Thomas died in Castleton, Vt. on March 2, 1852. He is buried in the graveyard of the Congregational meetinghouse, which he built. After his death his wife Sara remarried a Mr. A. Wilkins of Poultney, VT.
From the Roadside History of Vermont, by Peter S. Jennison: "...after the Revolution, Castleton grew rapidly, and by 1850 there were more than 3000 inhabitants. The villages "Pillar Town" nickname arose from the distinguised architecural record left by the gifted Thomas (Royal) Dake, a builder who arrived in town around 1807. The first house he built was his own, on South Street, in 1809. A fine sprial staircase believed to have been made byDake may be seen in the Ranson-Rehln house, a Greek Revival mansion with 17 ionic colums, built in 1846 from plans smuggled out of England. Dake's masterpiece, the Federated Church, was designed in similar style with a colonnade of six Doric colums, and an austere interior except for the bueatiful pulpit, which Dake completed by hand when the budget was exhausted." Eliza was born on Aug. 12, 1810 at Castleton, Vt. to parents Thomas R. and Sally Deming Dake. She married Merlin Clark on Sept. 19, 1833. (Charles Walker, minister officiating). They joined the Congregational Church on Mar. 5, 1837. She died in April 1838. Adoline was born on July 20, 1812 as Castleton, Vt. to parents Thomas R. and Sally Deming Dake. 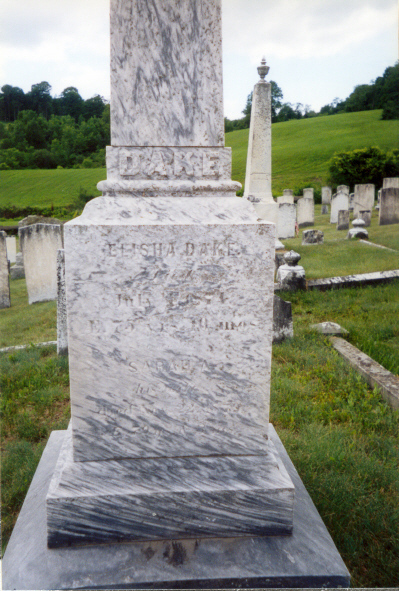 She died on Sept. 20, 1812 at Castleton, Vt.
Delinda was born on Dec. 13, 1813 at Castleton, Vt. to parents Thomas R. and Sally Deming Dake. She died on Nov. 7, 1831. She was said to have been frightened to death by a savage dog. He was born on May 12, 1816 in Castleton, VT to parents Thomas Reynolds Dake and Sally Deming. He was married in 1841 to Emeline Vaughan. (She died in 1915) He worked as a Accountant in Castleton, VT and also later in Ohio where he moved in 1860. He died in 1875, the place of his death is unknown. Ella was born in April 12, 1845 to parents Thomas C. and Emeline Vaughan Dake. She married James J. Goodale on June 24, 1884 at Cuyahoga, Ohio. They had children: Julian and Herman. She died in 1888. Francis was born in 1848 to parents Thomas C. and Emeline Vaughan Dake. She married Charlton Davis, her cousin. Emma was born in June 6, 1853 to parents Thomas C. and Emeline Vaughan Dake. She was never married. She died on Nov. 9, 1947. Was born on Jan. 15, 1858 to Thomas Ceylon Dake and Emeline Vaughan. He married Emma Louise Sargeant on Sept. 22, 1890 at Cleveland Heights, Ohio. (She was born on June 21, 1866 at Cleveland, Cuyahoga Co., OH to parents John William and Emma Louise (Todd) Sargeant). A Lyman Dake was listed as buried in Ionia, MI on December 6, 1897. Burton was born on June 29, 1892 to George Lyman Dake and Emma Louise (Sargeant) Dake. He lived in Altadena, CA. He owned furniture (sideboard) built by Thomas Reynolds Dake. He was a Civil Engineer in California. Edward was born on February 20, 1894 to parents George Lyman Dake and Emma Louise (Sargeant) Dake. He lived in Chicago. He married Clarise Sophie Judd. He owned furniture (table inlaid with an eagle) built by Thomas Reynolds Dake. He served in WWI as a 2nd Lieutenant in the 322 Field Artillery of the 83rd Division. He was still alive in 1945. Lee was born on July 29, 1921 in Shaker Heights, Cleveland, OH to parents Edward Vaughn Dake and Clarise Sophie (Judd) Dake. Told by Lee Judd Dake and documented by Satin SanFilippo Brennan (his grand daughter) on April 2007, (Names and dates other than family members are approximate based on oral representation, interpretation and memory. Validation has not been confirmed.) "We lived in Shaker Heights in Cleveland, OH and then we moved to Chicago when I was 1 year old. Then we moved to Glenview, IL. I went to Eugene Field School for K-8th grade. I went to Senn High School in Chicago, IL. I went to Michigan State University in East Lansing, MI. They had a good Forestry Department which is what I wanted to study because my dad liked to go camping so I liked the outdoors and wanted to be outdoors. As a boy, I wanted to be a Forest Ranger. My mom, Clarise, used to go to Forestry Preservations and pitch a tent and camp. In college I lived in the dorms the first year, then the second year I lived in a house rented by a Chemistry Professor named Mr. Bateman. He rented the upstairs of his house. There were two rooms and one bath that we shared. I met my first wife Barbara Long in college. In my last year of college I was informed by an Army Recruiter that if I enrolled in the Army I could finish college then go to the Army. This didn't happen. They called me up only a couple of months before I was supposed to graduate and I was drafted to go to the Army. I went to Louisiana for maneuvers Basic Training. I was assigned randomly to Artillery Battalion. Then the Army was short and needed engineers and I saw a notice to apply for engineers so I did. They were short Officers too so I got a chance to train to be an Officer and was sent to Belvowe Officer Training for 90-days. In 1944 I took a 3-day pass to get married to Barbara Josephine Long. She came to down to live near the camp in Louisiana but then she went home while I went to Officer Training Camp. Afterwards I was assigned to Rolla, Missouri. From there I went to Sacramento, CA. My wife, Barbara came with me too before I was shipped out from San Francisco on a big ocean liner, cruise ship. Eventually I got to Manila, Philippines because General McCarthy had just taken the Philippines. Then I was told to report to Aviation Battalion. Myself and another guy went to New Guinea looking for the Aviation Battalion. We couldn't find the Battalion so we went back to Manila but stopped on other islands where there was an army. We finally got back to Manila and asked the guy in charge where the Battalion was. Was told it was on Okinawa Island. Iwashima Island (a much smaller island). The Japanese were bombing US Armies on Okinawa. I finally got to Iwashima and found the Aviation Battalion which didn't even expect the two of us. The other guy I was with was Mr. Bachman. The Army was busy building a runway on Iwashima and I could survey. They harvested coral from the ocean, ground it up and mixed it with water to make cement. I was there for almost a year surveying and building runways. A plane with all the Japanese top army personnel were carried from Okanawa to Iwashima and stopped to change to US planes for transport for condidtional surrender. When the Japanese surrendered I was still on Iwashima still after the US dropped the atomic bombs. Then I went back to Okinawa where we paved roads and tore up airstrips made of coral to return it to farmland. Then shipped home in the fall of 1946. I was let out of the Army in a camp in Wisconsin. All in all I was in the Army from ~ April 1943 to September 1946. I went on a trip to Northern Wisconsin to look at some real estate but instead I wound up working for Joselyn. I found the job through my college MSU where I attended from Fall 1938 - April 1943 before going to the Army. One year after going to the Army my parents received a letter from the college granting my college diploma. I studied Forestry. I called the Forestry Department for jobs which is why Barbara and I went to Northern Wisconsin to visit a paper company where I would've managed the forest, land where the paper company harvested timber. But Grandma didn't want to be so rural and didn't think they could raise kids there. Instead Joselyn had jobs too for which I interviewed. I cannot recall my interview with Joselyn but jobs were plentiful after the war because businesses were trying to get going after the war was over. I had engineering experience so I was made the Superintendent Supervisor for the project at Joselyn. I surveyed the floors (cement) and railroad tracks to the cylinders. Joselyn was a wood treating company that made poles for utility companies, railroads, marinas, etc. that was out of Franklin Park, IL. They had jobs and I got one to manage the building of a new treatment plant so we moved to Elmhurst, IL. Later the Union got involved and told Joselyn they had to hire a contractor and so they did. I became the liaison between the Contractor and Joselyn. One day the President of Joselyn came by the plant in his towncar and got stuck in the mud. I didn't know it was the President when I went over to see what was going on. I pulled out his car with a tractor. Then later when I was summoned to a meeting in downtown Chicago at Joselyn Headquarters I went in and was introduced to the President. The President said he already knew me from pulling his car out of the mud. I started at Joselyn in October 1946 and worked there until 1976 when I took early retirement. I worked there for 30 years. Joselyn had a plant in Portland, OR (St. Johns) that was treating wood. I ran the transmission division and since the Portland division did most of the transmission work I was moved out to Portland, OR. Tom Connelly was the VP of transmission division. Joselyn asked me to head up the new transmission division/structures. I was in charge of design, engineering and sales of the Wood Division. We used a lot of steel too along with the wood. Eventually the division was bought out by Danahar. Then Joselyn asked me to move to Cleveland, OH to work for the High Voltage Division. We didn't want to move there so I decided to leave or retire when they offered a nice early retirement package. We built a house to live in at Elmhurst, IL. It was a ranch style house, 1 level at the end of River Glenn Road. At the time it was the boundaries of Elmhurst so I avoided the building permits. Joselyn had just had a fire and they needed someone to oversee the building of their new plant in Franklin Park, IL as an engineer because they didn't have many at that time. This is where all of our children were raised. We had 3 children: Edward Long Dake, MaryJo Elizabeth Dake and Robert Lee Dake. We lived in Portland, OR for 2.5 years. Joselyn moved us to Portland. Grandma Long (Barbara's mother) came too and lived with us. When Tom Connelly passed away, another fellow was put in charge and he didn't want to live in Portland so he moved back to Chicago (to be closer to headquarters) and moved all 10-12 of his employees including myself back to Chicago area. After I quit at Joselyn, we moved back to Portland in late 1976 or early 1977 because we had made a lot of friends and knew a lot of people. I started doing some consulting for companies on the West coast in San Mateo, CA and Chehalis, WA and utility, power companies. I did that for about 7 years and made good money. We lived in Mountain Park in Lake Oswego, OR. Then we built a house just a few miles away, still in Lake Oswego, OR in an old holly tree orchard. We had bought the land several years before we broke ground. We were one of a handful of the first houses to build there. Today, the neighborhood is completely built up, full of houses. I lived in this house for several years. My eldest son, Ed had four children and a step-son. A daughter with Catherine (Cathy) SanFilippo named Satin SanFilippo Brennan born December 30, 1971. Ed later married Sharyon Dake and had two sons and a daughter with Sharyon Mullen who already had a boy from a previous marriage named Jase Stefanski. Sharyon and Ed had two boys whose names are Monny Dake who was born March 31, 1980 and Jules Dake who was born September 24, 1982. Ed and Sharyon had a daughter named Shary Lorraine Arnold. 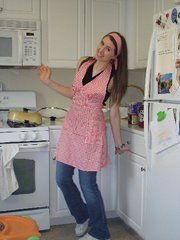 Satin Brennan married David John Brennan on July 29, 2000 and has two children, daughters, named Camille Berry Brennan and Kyralise Brennan. Camille was born October 13, 2003 and Kyralise was born September 29, 2005. Monny Dake is not married but worked for Intel Corporation and currently works for Boeing. Jules Dake married Caroline Leibinger from Ulm, Germany August 2007 (they met in college - Oregon State University). Shary Arnold married Stephen Arnold September 24, 2000. My daughter, MaryJo had two children. A son with her first husband, Mr. Grunkemeyer named Erich and a son with Mr. Berg named Scott. My youngest son, Bob, died of throat cancer when he was 16 years old. My first wife died in July 1992 but I still lived in the house for a while . Then some 8 years later I met a nice lady name Jane and we got married on May 18, 2002. She moved in with me and we lived in the house for a while longer. I married my second wife, Jane (maiden name unknown - born December 5, 1925). Then we moved to Mary's Wood Retirement where we both live. Edward was born to parents Lee Judd Dake and Barbara Josephine (Long) Dake. He married Catherine (Cathy) SanFilippo and they had a daughter Satin. SanFilippo born on December 31, 1971. (She later married a Mr. Brennan). Ed then married a Sharyon Mullen who had previously been married to a Mr. Stefanski. (They had a son Jase Stefanski who became a step-son to Edward). Satin was born to parents Edward Long Dake and Catherine (SanFilippo) Dake on December 31, 1971. She married David John Brennan on July 29, 2000. They had two children Camille Berry Brennan (born October 13, 2003) and Kyralise Brennan (born September 29, 2005)..
Monny was born to parents Edward Long Dake and Sharyon (Mullen) Dake on March 31, 1980. He graduated in 2000 from Evergreen High School, Vancover, WA. Monny worked for Intel Corporation and currently works for Boeing. Jules was born to parents Edward Long Dake and Sharyon (Mullen) Dake on September 23, 1982. 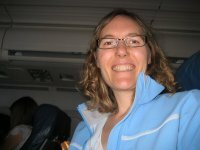 Jules met Caroline Leibinger from Ulm, Germany while attending Oregon State University and married in August 2007. Shary was born to parents Edward Long Dake and Sharyon (Mullen) Dake. She grew up in Roseburg, Oregon and studied at Umpqua Community College, Linn-Benton Community College and Portland State University. Shary married Stephen Arnold on September 24, 2005. She currently lives in Oceanside, CA. MaryJo was born to parents Lee Judd Dake and Barbara Josephine (Long) Dake on June 16, 1951. Wait was born on June 6, 1819 at Castleton, Vt. to parents Thomas R. and Sally Deming Dake. Sarah was born on Mar. 28, 1821 at Castleton, Vt. to parents Thomas R. and Sally Deming Dake. She married first a Mr. Weston and later Daniel A. Taylor (He was born on Mar. 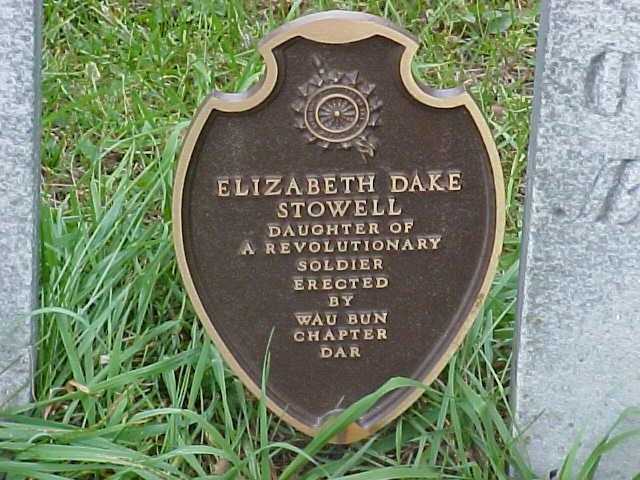 18, 1856 at Stony Creek, NY and died in 1951 at Rice Lake, WI). 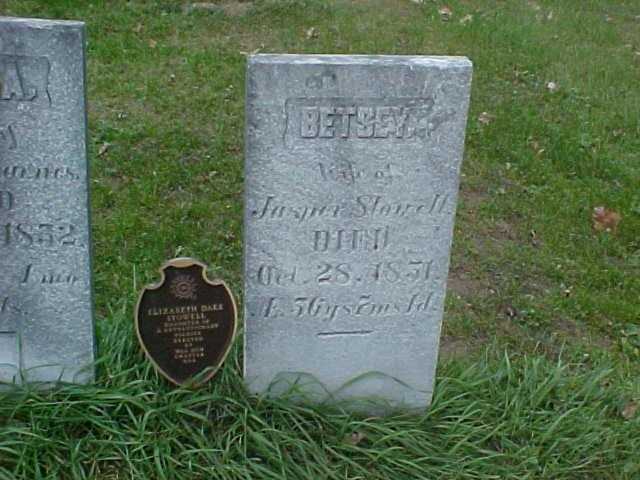 She died in 1888 at Wisconsin Rapids, WI. Frederick was born on May 1, 1823 at Castleton, Vt. to parents Thomas R. and Sally Deming Dake. Mary was born in 1826 at Castleton, Vt. to parents Thomas R. and Sally Deming Dake. Francis was born in 1848 in Castleton, Vt. to parents Thomas R. Dake and Sara Donaghue. Francis graduated from Middlebury College. He worked as an Architect/Builder in Minnesota, Castleton, VT, West Rutland, VT and Washington, D.C. He never married but lived and worked with his sister Arabella's husband who also was an Architect. He died in 1888, but the place of his death is unknown. Arabella was born on Dec. 9, 1831 at Castleton, Vt. to parents Thomas R. and Sally Deming Dake. She married Daniel A. Spencer. She died on Feb. 11, 1889. George was born on June 27, 1833 at Castleton, Vt. to parents Thomas R. and Sally Deming Dake. His mother died on July 15, 1833, probably due to childbirth. He died on September 28, 1834 at Castleton, VT.
George was born on Sept. 25, 1780 at Littlerest, South Kingston, RI to parents Benjamin Dake and Elizabeth Reynolds Dake. He married Sally Sarah Hartwell on Feb. 13, 1806. (She was born in 1785 and died on Oct. 4, 1819 at Windsor, Vt.) He married a second time to Betsey Putnam on Jan. 18, 1821 at Windsor VT. (She died on June 11, 1869 at Weathersfield, VT and buried at Sheddsville Cemetery, West Windsor, VT). 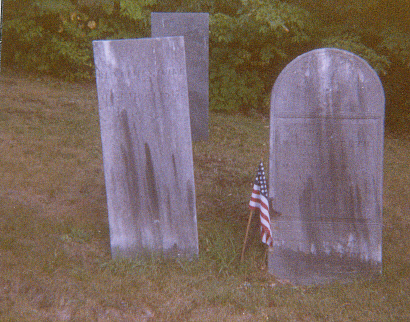 He died in Windsor, VT on Sept. 14, 1836 and is buried in the Houghton Cemetery along with his first wife Sally. George was born on June 30, 1811 at Windsor, Vt. to parents George W. and Sally Hartwell Dake. On Sept. 25, 1836 he married Susan A. Waite at Windsor, VT. (She was born on Jan. 16, 1812 to parents Allen and Prudence (Savage) Waite and died Nov. 7, 1879 in Windsor, VT) He was listed in the 1880 Census as living with Horace Weston, his son-in-law, along with his daughter Sarah and grandchildren. George died May 31, 1888 in Windsor, VT and both he and his wife Susan are buried at the Old South Burial Ground in Windsor, VT.
Sarah was born in 1838 to parents George Jr. and Susan Waite Dake. She married Horace Weston Jr. on Dec. 6, 1859 in Windsor, VT. They had children: George D. Weston (b. 1861); Fred A. Weston (b. 1863); Charles Weston (b. 1874) all at Windsor, VT.
Charles was born on June 2, 1841 to parents George Jr. and Susan Waite Dake. He was a clerk and bookkeeper. He enlisted in the Civil War on Aug. 9, 1862; Co. H. 12th. Regiment, Vermont Volunteers. He was discharged on July 14, 1863. He died of diptheria on Dec. 8, 1864 and buried at the Old South Burial Ground, Windsor, VT.
Charles was born on Nov. 10, 1806 at Windsor, VT to parents George W. and Sally Hartwell Dake. Polly was born on Nov. 4, 1809 at Windsor, VT to parents George W. and Sally Hartwell Dake. She married Timothy Hall on Aug. 28, 1836. AE 75 Yrs. 10 mos. AE 79 yrs. 8 mos. Elisha was born on Aug. 18, 1798 in West Windsor, VT to parents Benjamin Dake and Elizabeth Reynolds Dake. He married Sarah Angeline Stowell on June 8, 1820 in West Windsor, Vt. (Rev. Leland Howard, officiating. Sarah was born on Aug. 20, 1800 at Dedham, Mass. to parents Fisher and Mary Bailey Stowell. She died on Nov. 22, 1879 at Newbury, VT at the home of her daughter, Ellen English.) He inherited the old Dake homestead in March 1, 1837. He was listed in the 1830 census as living in Perrington, Monroe Co., N.Y. On April 25, 1846 he was living in Windsor, Vt. according to a pension claim letter submitted in behalf of his deceased father. He died on July 4, 1874 at Brownsville, West Windsor, VT. He and his wife Sarah are buried in the Brownsville Cemetery, West Windsor, VT.
Mrs. Sarah A. Dake, of West Windsor, died at the residence of Rev. J. English, last Saturday. She came, only a few days before her death, to spend the winter with her daughter, and was attacked with erysipelas and died thus suddenly. She was seventy-nine years of age; and had been an acceptable member of the M. E. Church for more than forty years. Her remains were taken to Windsor for burial last Monday. Henry was born on Dec. 1, 1839 at Brownsville, VT to parents Elisha R. and Sarah Stowell Dake. 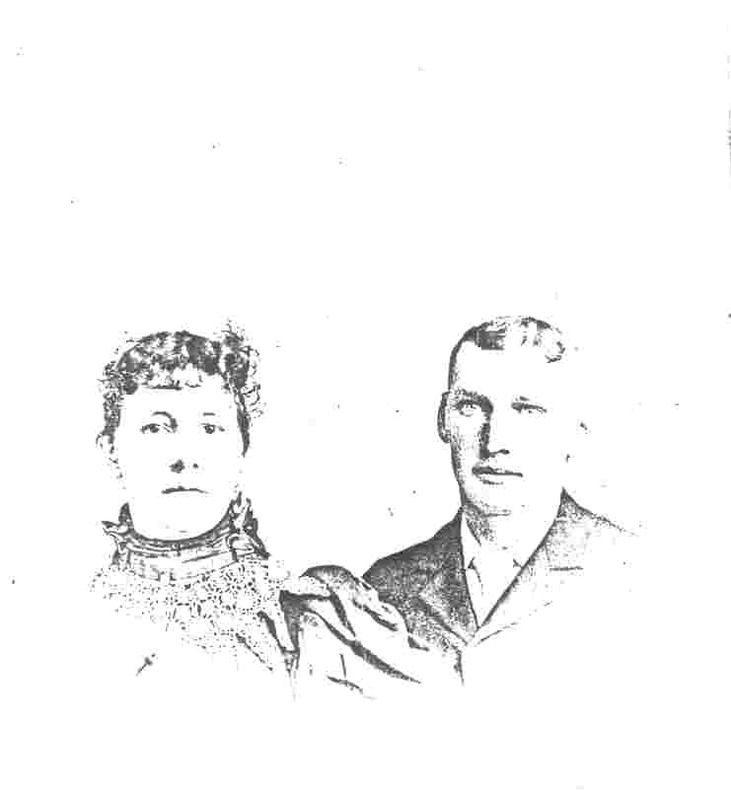 He married Frances M. Tolles on Feb 16, 1862 at Weathersfield, VT. (She was born on Aug. 5, 1842 at Weathersfield, Vt. to parents Henry P. and Elizabeth Clement Tolles and died in Feb. 5, 1888 at Pasadena, Calif.). He married a second time to Clarissa Angeline Howard on Feb. 25, 1890 at Auburndale, MA. (She was the daughter of Americus K. and Jane A. (Adams) Howard and was born in Springfield, VT on April 27, 1841 and died in Auburndale, MA on August 25, 1902.) Henry died on April 15, 1900 at Weathersfield, VT and was buried at Brownsville Cemetery, Windsor, VT along with his first wife Frances. Lizzie was born on Mar. 21, 1863 at West Windsor, Vt. to parents Henry H. and Frances Tolles Dake. She married Frank H. Whitman at Weathersfield, VT on May 31, 1881. Frederick was born on April 20, 1869 at Weatherfield, Vt. to parents Henry H. and Frances (Tolles) Dake. He married Mary J. Gowing Shaw at Vernon, Vt. on April 16, 1890. AE. 82 Yrs. 10 Mos. Ellen was born on Oct. 12, 1821 at Windsor, Vt. to parents Elisha R. and Sarah Stowell Dake. She married Rev. John English on June 14, 1843 at Brownsville, VT. (He was born Sept. 1, 1809 at Lyme, NH and died in March 26, 1884 at the age of 74, in Newbury, VT). She died on Aug. 28, 1904 Claremont, NH at the home of her daughter, Grace Hale. Both Ellen and her husband John are buried in the Brownsville Cemetery, West Windsor, VT.
John W. English died Sept 3, 1850 at the age of 3 weeks. Grace English was born Oct. 31, 1851 at Deering, NH. She married May 15, 1873 to Albert Hale and had 2 children. William F. English was born Feb. 6, 1863 at Tuftonboro, NH. He married Janet S. McCrone on May 19, 1889 and had 5 children. 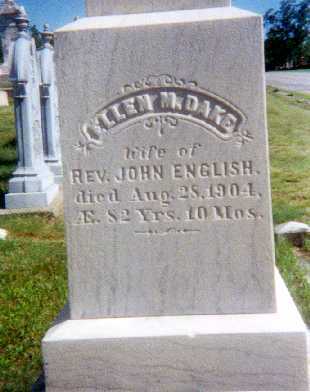 English--Ellen M. Dake, widow of Rev. John English (Vermont and New Hampshire Conferences 1838-1884), died at the residence of her daughter in Claremont, N.H. on Sunday, Aug. 23, 1904 in her 83d year. Mrs. English was born in Brownsville, Vt., Oct. 12, 1821. Her ancestors were among the early settlers of the town, and her parents, Elisha and Sarah Dake, are well remembered as earnest and active members of the Brownsville Methodist Episcopal Church. Mrs. English was converted in youth, enjoying a most clear and vivid experience. She was educated in the common schools and at the Vermont Conference Seminary and was married, June 14, 1843. In the parish and on the circuit, she gave herself devotedly to the Master's service. She was a woman of strong personality, a fine singer, tactful, energetic, resourceful and abundantly successful in bringing things to pass for the advancement of the Master's Kingdom. The funeral service was conducted at Brownsville by the pastor of the church, Rev. Frank Roberts, where she sleeps beside husband, parents, brother and sisters, near the home and amid the early scenes of her girlhood. A daughter, Mrs. Albert Hale, of Claremont, N.H.; a son, Rev. Dr. Wm. F. English, pastor of the Congregational Church, East Windsor, Conn.; and a sister, Mrs. Lucy D. Sprague, of Brownsville, Vt., survive her. "Blessed are the dead which die in the Lord...that they may rest from their labors, for their works follow with them." W. F. E.
Sarah was born on Dec. 31, 1834 at Windsor, Vt. to parents Elisha R. and Sarah Stowell Dake. She died on July 31, 1843 at Windsor, Vt. at the age of 8. James was born on June 9, 1789 in West Windsor, VT to parents Benjamin Dake and Elizabeth Reynolds Dake. He married Sarah (Sally) B. Cummings, daughter of Amos B. Cummings and Elizabeth Wright, at Windsor, Vt. on January 3, 1813. (She was born on Jan. 21, 1794 in Vermont and died in Dayton, Ohio on Jan. 25, 1876. Two daughters appeared to have died as infants. It appears that for a period of time he ran a distillery in Bloomfield, OH. James Porter died in Ashtabula Co., Ohio in 1836. Sarah wrote poems which were published in 1877. POEMS BY Mrs. S.B.Dake, WRITTEN WHEN NEARLY SEVENTY YEARS OLD." (1) "In Astabula's lonely glade, Two loved ones sleep; Beneath the shade, of an oaken tree, their graves were made.". This is probably James P. Dake (husband) and maybe one of their children. Astabula is Ashtabula Co., Ohio. J. Dake is found in the 1830 census there, but not in 1840, by which time he had died. (2) "Far off upon a distant shore, Where mountain's torrents wildly roar, Sleeps one who died long years before.". This could be her mother or another child. The setting evokes the Connecticut River valley and the Vermont mountains. (3) "One loved one died, we had him laid, Beneath the Western Church yard shade, By Stranger hands his grave was made. We left him in his lonely bed; The green grass turf above his head, To sleep among the Stranger dead.". From other references, the "Stranger land" was Ohio, where she felt she was a tragic exile and alone. The specific county or person she refers to isn't clear. (4) Sally left Vermont in "life's spring time...In stranger lands to dwell...". She hoped to see her Mother again, but "That parting was our last...we never were to meet again ... although long years to each were given...We could not meet again...". Her mother is presumably buried in Vermont: "I've seen thy grave where it was made, Beside thy kindred dead...Beneath the maple shade.". (5) Her mother died before her father: "I met you in my mother's room, Where she had lingered last...". Sally returned to Ohio: "...you ask that I would stay...Dear Father I must go: I go to a far distant shore.". (6) One or more sons fought, almost certainly in the Civil War, given the age she was supposed to have authored these poems plus her age of birth: "Farewell my son Farewell! Farewell! We may not meet again; You go to face the cannon's mouth, upon the battle plain..."
Elizabeth was born in 1824 in Cuyohoga Co., Ohio to parents James P. and Sally Cummings Dake. She married in 1846 to John Latimer McCain (John was born on May 24, 1804 and died in 1879). Elizabeth died in 1911. Sylvanus Milton was born in 1827 in Vermont to parents James Porter and Sally B. Cummings Dake. In 1840 he was listed as living in New Carlisle, Clarke Co., Ohio. He married Catherine M. Howk, daughter of Ezra Howk and Annis Bishop, on May 21, 1848. (She was born in Mass. about 1830 and died on Feb. 9, 1906 at Deer Lodge, Montana.). He moved with his parents by 1830 to Ashtabula Twp, Ashtabula Co, OH and by 1840 to New Carlisle, Clark Co, OH. His occupation was listed as a Shoemaker. By 1850 he was listed with his own family in Olmstead Twp., Cuyohaga Co., Ohio. Sylvanus may have served in the Civil War but no record found todate. He died in Elyria, Lorain Co., Ohio 1899 and is buried in Ridgeview Cemetary. Elizabeth was born about 1849 to parents Sylvanus Milton and Cahterine Howk Dake. She married George W. Carlton. OBITUARY NOTICE: Libbie Dake Carlton Dies, Deer Lodge, Mon. Word has been received by J. A. Dake of West avenue, of the death of his only sister, Mrs. Libbie Dake Carlton of Deer Lodge, Montana. Mrs. Carlton was a resident of Elyria about fifty years ago. She is survived by her husband Geo. W. Carlton and one daughter. Burial will be at Deer Lodge. James was born on Nov. 24, 1850 at North Olmstead, Cuyahoga Co., Ohio to parents Sylvanus Milton and Catherine M. Howk Dake. He married Harriet Huldah Boynton, daughter of John Hancock Boynton and Huldah Heath, on May 27, 1875 at Elyria, Lorain Co., Ohio. (She was born on May 19, 1854 at Elyria, Ohio and died on Dec. 30, 1930 in Elyria, Ohio). WEDDING ANNOUNCEMENT: On Thursday evening, the 27th, at the residence of the Mayor, by Rev. B. T. Noakes, Mr. James A. Dake and Miss Hattie H. Boynton, both of Elyria. The happy couple have the sincere wishes of a large circle of friends for a pleasant and prosperous wedded life. "GOLDEN WEDDING CELEBRATED BY MR. AND MRS. DAKE - Mr. and Mrs. James A. Dake, of 600 West Avenue, were the recipients, on Wednesday, of many messages of congratulations, in the form of flowers and cards, on the occasion of their fiftieth wedding anniversary. Mr. and Mrs. Dake were married in this city on May 27th 1875. A family dinner was given in their honor by Mrs. C. D. Gull and Mrs. G. H. Brownell at the home of Mr. and Mrs. Brownell on Park Avenue." James' occupation was listed as a Confectioner. He died on Jan. 24, 1929 at Elyria, Lorain Co., Ohio and is buried at Ridgeview Cemetary. The death of James A. Dake took place Thursday, January 24th, after an illness of about five months, at his home, 600 West avenue, where he had lived for twenty-one years. Mr. Dake was born at Olmsted Falls, Ohio, November 24, 1850, the son of S. N. and Catherine Dake. A part of his boyhood years were spent in Illinois but he returned to Ohio when about ten years old and lived the remainder of his life in Elyria. In 1875 Mr. Dake went into the wholesale and retail confectionery business for himself, in the old Beebe house block, moving after to the location now occupied by the Central Book Store, where he remained for nearly thirty thirty years. From 1900 to 1910 Mr. Dake was connected with the Elyria Telephone Co. and during that time was one of a company of seven Elyria men who built telephone plants in several Ohio and New York towns. Later during the war he was employed in the offices of the National Tube Co.
Mr. Dake had been a member of the Elks club since its earliest days and the pall-bearers were six brother members of that order. Simple but impressive services were held at the Taylor Home on Saturday afternoon, with Rev. William Muir Auld officiating, and the interment at Ridgelawn cemetery. His wife, whom he married May 27, 1875, two daughters, Mrs. C. D. Gull and Mrs. G. H. Brownell, two grand-children, Dake Gull and Mrs. . D. Humphrey, of Limo, N. Y., survive him. Had Lived In Elyria Her Entire Life, Was Born When Her Father Was Sheriff of Lorain Co. Mrs. Harriet B. Dake, youngest child of the late John H. and Huldah Boynton, died at her home, 600 West Avenue, December 31, 1930. Mrs. Dake was born while her father was serving as sheriff of Lorain county. Living in Elyria her entire life, she graduated from the High School in 1872, was married to James A. Dake in 1875, celebrating their 50th wedding anniversary on May 27th, 1925. Mr. Dake died in January 1929. Mrs. Dake had been a member of the Fortnightly Club since its earliest years, also a member of the Monday Colonial Club, and a member of the Woman"s Club, and a faithful attendant of the First Congregational Church for over fifty years. She is survived by her sister, Mrs. P. H. Kaiser of Clinton, New York, oldest living graduate of Elyria High School; her two daughters, Mrs. G. H. Brownell of 720 Park Avenue, and Mrs. C. D. Gull of 449 Earl Court, and two grandchildren, Mrs. W. D. Humphrey of Findlay, Ohio, and Dake Gull of Elyria. The funeral will be Friday at 2:30 P. M. at the Taylor Funeral Home, Rev. W. M. Auld officiating. Burial will be in Ridgelawn Cemetery, and the family requests that no flowers be sent. Amelia was born on Feb. 27, 1877 in Elyria, Ohio to parents James Allen and Harriet Boynton Dake. She married in April 1900 to George H. Brownell at Elyria, Ohio. She died AT AGE 76 on April 21, 1953 at Elyria, Ohio and is buried in Ridgeview Cemetary. OBITUARY: 'Mrs. Brownell Dies After Long Illness Mrs. Amy D. Brownell, a life-long resident of Elyria and wife of George H. Brown ell, to whom she had been married for 53 years, died at ten-thirty oÆclock last evening at he r home at 720 Park avenue, following a lingering illness. Mrs. Brownell was born in Elyria on January 27, 1877 and graduated from Elyria H igh School with the class of 1895. She was a member of the Pioneer department of the Elyri a WomenÆs Club and of the Daughters of the American Revolution, also affiliated with the First Congreg ational Church and the Monday Colonial Club. Surviving besides her husband is a daughter Mrs. W. D. Humphrey of Findlay; gran ddaughter, Barbara B. and grandson, William B., of Findlay; a sister, Mrs. Cloyd D. Gull of Elyria. Friends will be received at the Harold Dicken Funeral Home Wednesday between the hours of 7:30 and 9:30 p.m., and on Thursday from two to four oÆclock and from 7:30 to 9: 30 p.m. Funeral services will be conducted by the Rev. B. Kenneth Anthony on Friday at 2 p.m., from the funeral home and burial will be in Ridgelawn Cemetery. MEMORIAL: The members of the Elyria Chapter, Daughters of the American Revolution, pause a t this time to pay loving tribute to the memory of one of its prominent and dear ly loved members, who during the past 30 years, has endeared herself to one and all. Amy Dake Brownell (Mrs. George H. Brownell) was an Organizing and a Charter Member, who served this Chapter on various committees most efficiently and supported its activities most generously. In recent years, although ill health prevented her attendance, she nevertheless was an inspiration and help to all of us by her continued interest and enthusiasm. Whereas: This Chapter has lost one of its most valuable and outstanding members , and the individual members have lost a true and loyal friend, and Whereas: This Chapter is deeply saddened and sincerely mourns the passing of Mrs. Brownell, a woman of sterling character and refinement and ability, one who w as respected, admired and loved, and Whereas: Her cheery smile, her friendliness and cordiality, her grace and charm , and her many acts of kindness will be greatly missed and long remembered, therefore be it Resolved, that this Chapter has suffered a great loss, and extends to the bereaved family its sincerest sympathy, and its assurance that they will be comforted by tender recollections and happy memories and will thereby find joy and peace. Be it further Resolved, that a copy of these resolutions be inscribed upon the minutes of this meeting, and that copies be forwarded to her husband, her daughter and to his sister. Margaret was born on June 9, 1883 at Elyria, Ohio to parents James Allen and Harriet Boynton Dake. On July 29, 1906, she married Cloyd Delaney Gull, son of Alexander Miller Gull and Clara L. DeLaney, at Elyria, Lorain Co., Ohio. Her occupation was listed as a Homemaker and Volunteer Nurse. The had a son, Cloyd Dake Gull (see article below). She died at age 84 on Jan. 11, 1968 at Elyria, Ohio and is buried in Ridgeview Cemetary. I was a traditional professional librarian when called to duty in January 1942 by the Navy. By the summer of 1944 I was the Lieutenant in charge of the Ship's Library at the Naval Training School at Cornell University, where we provided thousands of textbooks to undergraduates and officers. It was a warehousing job, and I adjusted by adopting minimal records. Then I was transferred to the Fleet Post Office in New York City for training as a postal officer. It was evident that the need for postal officers had already peaked, so I requested permission to seek another assignment. When I reached the office in the Bureau of Naval Personnel in Washington, the officer had one request to fill to finish his day. A professional librarian was needed, and in New York City, too! Coincidence number 1. The Commanding Officer of the Service Parts Agency of the Bureau of Ships suspected that his contractor, an engineering firm, was not doing the library part of the contract properly. My orders to join SPA arrived very soon. In this fictitious example the two manufacturers supplied New Departure Ball Bearing ND 773, and they supplied only their own part numbers on the blueprints. Later at a Congressional hearing, one officer admitted there were 1298 part numbers for one ND bearing. without saying how many unnecessary bearings were resting in Naval Supply Depots. In the spring of 1945 it became clear that the team would be unable to complete its work before the United Stats' began invding Japan. It was essential to locate parts already in forward depots and eliminate delays in getting parts from the mainland. The CO of the SPA wondered what could be done to provide a short cut to achieve the desired cross-indexing. Each new person was also required to learn how to operate the full line of IBM punched card accounting machines, which were used to uncover this growth of part numbers. I finished the two assignments and turned to the study of the library of manufacturers instruction manuals, some 7,000 titles for World War II. The CO's suspicions were correct; the contractor was providing three dictionary card catalogs where one was sufficient. So I threw two away and improved the third one. I also adopted the spirit duplicating process to make the catalog cards. The SPA library catalog was under control, but it was not available in the supply depots nor on board ships, where it was really needed. I was not asked to consider whether or how the dictionary catalog could be supplied to the depots to facilitate the finding of the parts in stock. We knew it could be published as a book. I analyzed what the depot personnel needed to locate parts for shipboard use.. The sailor could bring the instruction manual and the damaged part(s) to a depot, where the parts man could look on the shelf for the part number. If in stock, everyone was happy. If not, we would try someone's memory. If memory failed, then we would search other instruction books for the same machine or component. Since the library catalog supplied access by the following categories -- Old and New Library accession numbers, Ship Type and Number, Machinery and Components, Manufacturers names -- this information would be very useful in every supply depot in book form. I then responded to the CO's invitation to suggest a short cut, using IBM cards and machines to print copy for a book form index instead of 3 x 5 cards, typewriters and spirit duplication. There would be one 80-column punched card for each manual (7,000 punched cards in all). The IBM tabulator was built to print 150 lines per minute, remarkably fast then for an electromechanical machine, but limited to 39 columns to print the English alphabet and 10 Arabic numerals and 3 punctuation marks, and 41columns for Arabic numerals only. The tabulator forced the use of brief numbers and abbreviations in the several columns of the punched cards. The 7,000 cards would be sorted numerically by new accession number and then printed by the tabulator. The cards would be resorted, for example by ship type, and tabulated by that column. When all sorting and tabulating were finished, the Government Printing Office would print the index by photo offset. My suggestion was accepted, and, during the summer of 1945, some 12 persons worked on the master set of manuals in Washington. We were ordered to finish our task rapidly so GPO could deliver the indexes on September 1. GPO met its deadline, but Japan had already surrendered on August 14. 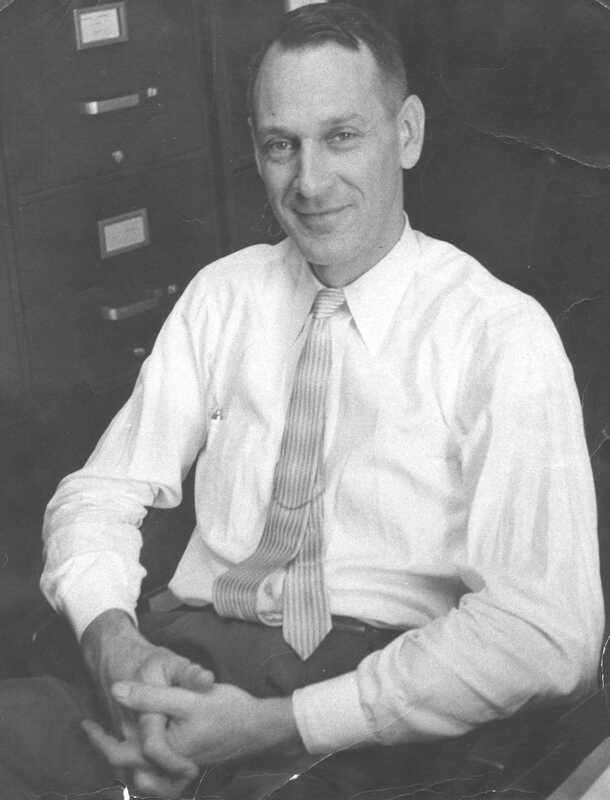 The Navy released me from active duty early in December 1945, and I started working for John W. Cronin, newly promoted to Assistant Director of the Processing Department of the Library of Congress. The Department held an internal conference on the future of the card catalog to which I was invited. This is where I learned (coincidence number 2) that LC had a full complement of IBM machines, used mostly for billing about 10,000 libraries for their purchases of LC printed catalog cards and for payroll work. I also learned that these men were anxious to learn about new kinds of equipment and procedures: Librarian of Congress Luther H. Evans; in the Processing Dept. Herman H. Henkle, Director and Cronin; Seymour Lubetzky, cataloging principles; and John Meehan, Manager for IBM Operations. I started to draft at home a system using punched cards and machines to supplement hot metal composition and flatbed printing of LC catalog cards. When I finished the draft in July 1947, it demonstrated that punched cards and machines could be used to prepare a dictionary card catalog, but at the price of degrading all the procedures already using hot metal and flatbed printing, with one exception. In 1947 most users of card catalogs were forced to copy references from them by hand onto blank cards. The draft showed that mechanical copying could replace manual copying if punched cards were used. But the size of the task of preparing a punched card catalog was just too great for serious consideration. In the spring of 1946 the Veterans Administration asked Dr. Evans for help. He authorized a project named Surplus Books for Veterans and designated Dr. Leslie Dunlap and me to set it up. The VA owned some 5,000,000 college-level textbooks in colleges and universities where servicemen had been educated during World War II. These books were in short supply in the civilian market, and the VA wanted to give them to veterans who were signing up for courses paid for by the GI Bill. The VA had brought the books to Washington where they were stored in freight cars. We took over the basement parking space for 105 cars in the Annex and shelved the books in boxes to be used for shipment to schools. We produced an author catalog from punched cards, one line per title. We mailed the catalogs to the schools and asked them to mark the titles and quantities needed and return the marked catalogs. Our staff picked the required quantities from the boxes and marked each school's identification number and quantity on every picking card. We made frequent reports to the Librarian and the schools by tabulating the punched picking cards. It probably would have been easier and less costly to have left the books where they were, because the schools already had faculty members to teach the subjects. In the spring of 1946 I received an invitation from Norman Hill to present a paper on punched cards to the Division of Chemical Literature of the American Chemical Society. It was titled A Punched Card Method for the Bibliography, Abstracting and Indexing of Chemical Literature and was published in October 1946 in the Journal of Chemical Education 23:500-507. It had been announced as "The Bibliographic Revolution," and, while it created quite a stir at the meeting, the procedures presented no useful improvement over the printing techniques already in use for Chemical Abstracts, but the presentation put me in touch with others who believed that improvements were absolutely essential. And history has vindicated the original title. The Librarian asked for additional help from IBM. One request was for a 7.5 x 12.5 cm unpunched card mechanical distributor to reduce human labor, which had been used for nearly 50 years. As a contribution to world bibliography, LC gave complete sets of LC cards every year to some 206 libraries. In 1948 production was about 65,000 titles (which required some 70,000 cards to care for titles requiring more than one card per title) or about 14,420,000 cards per year. The GPO delivered 65,000 packages per year in random order as to author and title order. LC wanted to give away 206 sets of 70,000 cards in author-title order. The total was about 14,420,000 cards to rearrange per year. To achieve author-title order it sufficed to order the packages on shelves as they came from GPO each year. To convert 65,000 sets into 206 larger piles required a mechanical distributor. IBM converted a regular punched card sorter to accept LC's thicker and narrower card, eliminated the electric sensing feature, and opened the stacking pockets of the sorter, one title per pocket until all cards had been distributed into 206 piles. The successful conversion was used for years after 1948. It was clear by 1948 that the optimum choice of one feature of IBM cards and machinery usually resulted in the degradation of performance by another feature. I noted that the most frequently requested improvement was the provision of a larger set of characters. After all, IBM manufactured the Electromatic typewriter with 88 characters on its manually operated keyboard, and it could be driven by punched paper tape at 10 characters per second. Why not drive the Electromatic from information stored on punched cards? Consequently another request to IBM was for a larger character set in printing from punched cards. IBM chose to modify its standard verifier, used to read proof on punched cards column by column, which fitted the way a Card Controlled Typewriter would print, character by character, at 10 characters per second. IBM added the plugboard from the collator so that the signals could be read from the cards column by column and sent to the correct solenoids to activate each key. While familiarizing myself with the CCT, after IBM delivered it, I realized that I was using three columns every time to print an upper case character, one to shift the typebasket into upper case, one for the character, and one to return the typebasket to lower case. When the service representative came to work on the machine, I described the problem. He responded that the machine was so slow that we could wire the plugboard so that shift or unshift was ready before the next keystroke was called for. I wired the plugboard as he had directed, checked all 88 characters, recorded the plugboard wiring in color, and produced samples of LC cards. They were typographically pleasing, but as part of a system could not compete with letterpress printing. We developed two experimental uses for the CCT in the Navy Research Section of LC. We put the Section's List of Subject Headings into punched cards, filed the cards by hand, and printed them in several editions. This experiment was used at least until 1961. The second use was to prepare the subject index to the individual issues of the Technical Information Pilot, which was published in three parts to cover unclassified/restricted, confidential, and secret reports. Years later I had to retrieve the wiring diagram from my files for the service representative, for he refused to service the CCT without the diagram. During my employment at the Library of Congress (1945-1952), I also held administrative posts in the Catalog Maintenance Division, the Navy Research Section, and the Union Catalog Division which had priority over working with punched cards and machines. The literature of punched cards and machines was also changing very rapidly to include a new device, the computer, which was emerging from its wartime security classified status. I began to study the literature of this new device. It was evident that remarkable progress was in prospect for handling all kinds of information, and I offered my views to the men listed earlier. I asked the Selection Officer to route all the literature of computers and punched cards to my attention. He approved a visit by Dr. Mortimer Taube, then Chief of the Navy Research Section, and me to John W. Mauchly at the Moore School of Electrical Engineering of the University of Pennsylvania, where they were building ENIAC, one of the world's first digital electronic computers. Toward the end of our visit we asked our basic question: "Can you work with alphabetic characters as well as with numerals and some mathematical symbols?" Mauchly quickly said, "No." When he read the amazement on our faces, he revised his answer: "Yes. I can code letters by using numerals." Although we recognized that coding would require more storage capacity per word, we retained the computer as the pre-eminent system to be watched for information handling in the future. We did not see the control panels nor the racks of vacuum tubes, but we were shown a mercury delay line and a surveyor's 1,000-foot steel tape as examples of their current work to develop storage devices. Neither one proved practical. Mary was born before 1825 to parents James Porter and Sally Cummings Dake in Vermont. She married William Harper on Jan. 4, 1849 at Cuyahoga Co., Ohio. Fidelia was born before 1830 in Vermont to parents James Porter and Sally Cummings Dake. She married George Gordon Howk on Jan. 16, 1854 at Lorain Co., Ohio. 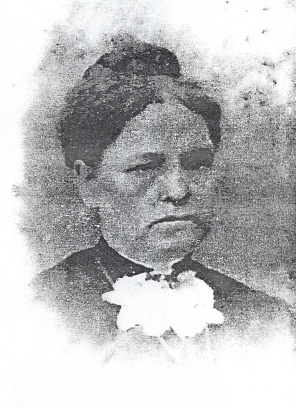 Mary was born in 1833 at Ashtabula Co., Ohio to parents James Porter and Sally Cummings Dake. Her mother may have lived with her for a period of time after her father died. In 1860 she was listed as living in Champaign Co., IL. with her mother and the family of James Dean. She was a teacher in Urbana, IL and never married. In 1875 she was listed in the Williams Dayton City Directory as a manager at Grover and Baker S.M. Co., dress makers. Her residence at that time was 17 W. Wilkinson. James was born in 1835 in Ashtabula Co., Ohio to parents James Porter and Sally Cummings Dake. In 1840, he was listed in New Carlisle, Ohio. By 1850, he was living in Dayton, Montgomery Co., Ohio with parents. He may have served in the Civil War. Althea was born in 1816 in Vermont to parents James Porter Dake and Sally Cummings Dake. She married James Deane on Nov. 10, 1842 at Montgomery Co., OH (he was born about 1809 and died Sept. 24, 1860 at Urbana City, Champaign Co., IL). They had a son Albert L (b. 1845 OH) and daughter Lilly (b. 1855 IL). She died in 1861 at Champaign Co., IL. Jerimy was born in 1835 in Ohio to parents James Porter Dake and Sally Cummings Dake. Belinda was born to in 1822 in Ohio to parents James Porter Dake and Sally Cummings Dake. She married Reese R. Taylor in 1841 at Montgomery Co., Ohio. (He was born August 21, 1815 in Ohio and died October 1890 at Urbana, Champaign Co., IL). They had son's: Edward (b. 1841), James (b. 1843), John (b.1845) and Charles Bayard (b. July 1, 1855 in Urbana, IL) and daughter's: Elizabeth (b. 1847) and Sarah E. (b. Dec. 14, 1850). Belinda died December 1907 in Urbana, Champaign Co., IL. Emeline was born in 1830 in Ohio to parents James Porter Dake and Sally Cummings Dake. She married John K. Gebhart in 1846 at Montgomery Co., OH (he was born about 1824 and died July 9, 1860 at Dayton City, Montgomery Co., OH). They had a son Herman (b. 1848) and daughter (b. 1850). She was buried at Woodlawn Cemetery, Dayton, Montgomery Co., OH. Arnold Benedict was born on Oct. 18, 1791 in West Windsor, VT to parents Benjamin Dake and Elizabeth Reynolds Dake. While his original name was Benedict Arnold Dake, he went by the name Arnold B. Dake. (Probably after Gen. Benedict Arnold who was discraced as a traitor). He enlisted in the U.S. Marines on April 1813, for service in the War of 1812 and was assigned to duty as an Ensign in the 30th Infantry. He was promoted to 3nd Lieutenant on Jan. 31, 1814. On Sept. 13, 1814 he was promoted to 2nd Lieutenant of the Thirtieth Regiment of Infantry and transferred to the 5th Infantry on May 17, 1815 and served under Col. James Miller. He was brought before a Court Martial at Detroit on the 11th of September, 1816 and found guilty of flogging a soldier. A copy of this Court Martial is documented below. He resigned from the service on Jan. 1, 1817. He married Elizabeth Stuart. He moved first to Edwards Co., IL. in 1820 and by 1830 had moved to Gallatin Co., IL. On December 31, 1825 he married Margaret Flint Seebolt at Gallatin Co., IL. He was a doctor in Gallatin Co. 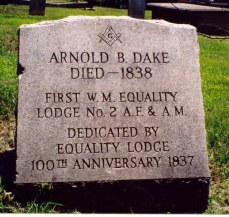 He died in 1838 and was buried at Equality Village Cemetery, Equality, IL. A long time has elapsed since I herd directly from you but it may be in consequence of my negligence in not informing you where I was, but flatter myself that when this reaches you I shall be informed from some one of you the general events that have occured in your families & their state of health. My familly are all well but we have had considerate sickness since we left that Country. We have two children, Arnold B. Jun & Jane Dake. It will undoubtedly appear somewhat surprising to you to hear from me so far to the southwest & so far from my nativity but was you acquainted with this western world it would turn your surprise into attachment. There is no part of the world perhaps better calculated for luxury and ease than this one acre of land well cultivated with produce, at least one hundred bushels of white Guard seed corn. But the common practice with the inhabitants of this country that have imigrated from Kentucky, Tenesee & the Carolines are to plant the corn & never do any thing more to it untill they harvest it, in that case they get about sixty or seventy bushels. Fifty bushels of wheat to the acre is a good yield; Irish & Scout potatoes are raised here in abundance. Every planter raises his own tobacco and cotton & some of the latter for exportation a little further to the South. That is their principle commodity. Corn is worth twenty five cents per bushel, wheat one dollar, potatoes 25/100 dollar, pork from three to four dollars per hundred. The woods abound in deer, elk & buffalo. The inhabitants of this country never want for fresh meat. They are generally good marksmen & seldom fail of killing some kind of wild meat every time they go out to the woods for that purpose. But I must inform you the cause & in what manner I came to this country. When place to place I was retained in Service in the Fifth Regt and stationed at Detroit Michigan Teritory where I remained untill Oct 1816 when I resigned & went to the town & county of Huron, State of Ohio & commensed the practice of Physic & Mercantile Business & continued there untill the first of Oct 1818. In the mean time I had made one journey into this country & resolved to move here. Accordingly we left Huron on board the Sloop Jane bound to Ft Meggs. We had an elegant passage through Lake Erie &, after arriving at Fort Meggs, I procured a pirogue & hired two men to assist me in proforming the rought &, after loading my effect on board, we proceeded up the Miami River. I had a good tent & we encamped on the banks of the river each night. We was about ten days in getting to Ft Defiance, the distance of one hundred miles by watter. There is a few white famillies settled on the banks of the river. We then proceeded still further up the river to Ft Wayne, 100 miles. There were no inhabitants on this rought. We ware six days on our passage through an Indian Country but we saw none of the human race except our own gang. We killed a plenty of geese, ducks, raccoons & porcupines. I remained at Fort Wayne a few days & supplied myself with provision & a new pirogue that lay in the head watters of the Wabash, the distance of thirty miles & procured bemes to take my effects & familly across the portage. There is no inhabitants from Fort Wayne to Ft Harison, the distance by watter of five hundred miles. I arrived safe across the portage and put my effects on board the pirogue & proceeded down the river. The watter was low we could not travel fast. We was about four weeks before we reached Harrison. We replenished our provisions from the Indians. We passed through the following Indian tribes camps & villages---- The Miamies, Delewares, Windots & Kickapooes. They ware all verry civil to us. My family was the first that ever came through that wilderness to this country, so you can guess with what astonishment the Natives guaized on us. We passed Ft Harrison & floated down the river to Vincense. By this time it had got to be December. The ice in the river provented my getting any further & here I am in the State of Ilinoise, ten miles below Vincense adoing nothing this winter but have made arrangements to go into business imeaditly on the road from Vincense Indianna to St Luis, about fifty miles from Vincense. This country is consedeably settled & imigrants from all parts of the globe are daily arriving. If I have any success here in business I shall come to that country on a visit in about three years. My rought to go back will be to go on board a Steam boat for New Orleans & from there ship on board a vessell for New York. I shall expect some of you will on the receipt of this write me and direct your letter to Vincense Indianna State. We send our complements to all. Instead of directing your letter to Vincense, you had better to Palmyra, Edwards County, Ilinois St.
A general court martial, ordered by General Gaines, in Feburary, 1816, sentenced a soldier to receive fifty cobs, or lashes, on his bare shin. This sentence was confirmed, but by the orders of the general in other cases, of which extracts are enclosed, pointedly disapproving, whipping, it appears that he makes a distinction between cobs and "stripes and lashes," which last are only mentioned in the act of May 16, 1812, repealing a part of the eighty-seventh article of the rules and articles of war. It also appears, that , soon after the peace, two general courts-martial, ordered by General Macomb, sentenced several soldiers to receive fifty lashes each, which sentences were approved by the general , and ordered to be carried into effect. As such sentences have not since occurred, it is presumed that an impression prevailed in that command, at that time, that the act fixing the peace establishment, by generally repealing the laws enacted during the late war, restored the provision which authorized punishments by stripes and lashes before the war. These are the only cases I have been able to find on the records; and it will be observed that all, except that of Major McGlassin, were within the jurisdiction of the commanding generals, and never came up to the War Department, but as a place of deposite for the records of courts, "to the end that the persons entitled thereto may be enabled, upon application, to obtain copies thereof." In this case the sentence of the court was approved by the President, and the major was accordingly dismissed the service. I have the honor to be, sire with perfect respect, your obedient servant. D. PARKER, Adjutant and Inspector General. It appears by the record of a general court-martial, held at Detroit, on the 11th of September, 1816, that Lieutenant Dake, of the fifth infantry, was charged with, and found guilty of, "flogging John Meldrum," a private of Captain Pelham's company, and sentenced to be "reprimanded in general orders". Jane was born to Arnold B. Dake and Elizabeth (Stuart) Dake. Lucy was born to Arnold Benedict Dake and Elizabeth (Stuart) Dake. She married Tarlton Dunn on Nov. 5, 1837. (Tarlton later married Louisia Ann Robinett on May 29, 1845). Margaret was born in 1820 to Arnold Benedict Dake and Elizabeth (Stuart) Dake. She married Robert Hopper on Sept. 21, 1837. (He was born 1810 in NY). They had a child: Lucy Hopper. Betsy was born on Mar. 27, 1795 in West Windsor, VT to parents Benjamin Dake and Elizabeth Reynolds Dake. She married Jasper Stowell at Windsor, Vt. on Sept. 7, 1815. He was a boot and shoemaker and also a farmer. He was also steward in the Methodist Episcopal Church at Massena, N.Y. He lived in Windsor, Vt. until 1836 when he moved to Massena. In May 1844 he with his wife and ten younger children left Massena and arrived at Aztalan, Wisc. in July 1844. The eldest son, Warren, came to Aztalan in the following year 1845, but the other older children remained in the east. On Oct. 27, 1849, they moved to New Haven, Adams Co., WI he was made postmaster at Wausaw, WI on Nov. 20, 1850 and was the first postmaster at New Haven. Later the postoffice was moved to Big Springs, WI where his wife Betsy Dake Stowell died. In Sept. 1853 Jasper returned east and settled at West Middlesex, Penn. and married Eliza Jane Woods. Elizabeth and Jasper had children: Warren Clark, Nelson, Arnold Dake, Edward, Elizabeth, Lavina, Benjamin, George, Maryette, Marcus, John Donahoe, Charles, Marcia, Ceylon and Elisha. Elizabeth died on Oct. 28, 1851 at Big Springs, WI and is buried at Big Spring Cemetery, Big Springs, WI.